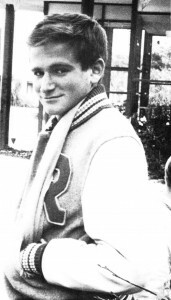 Robin Williams was born in 1951. In high school he was voted the ‘least likely to succeed’. He would go on to become an avid soccer player in college, Julliard dropout, cyclist, expert ad-libber, and comic genius. When he attended Julliard for acting, he was told that he was wasting his talents and should head out on the road to become a stand-up comic. 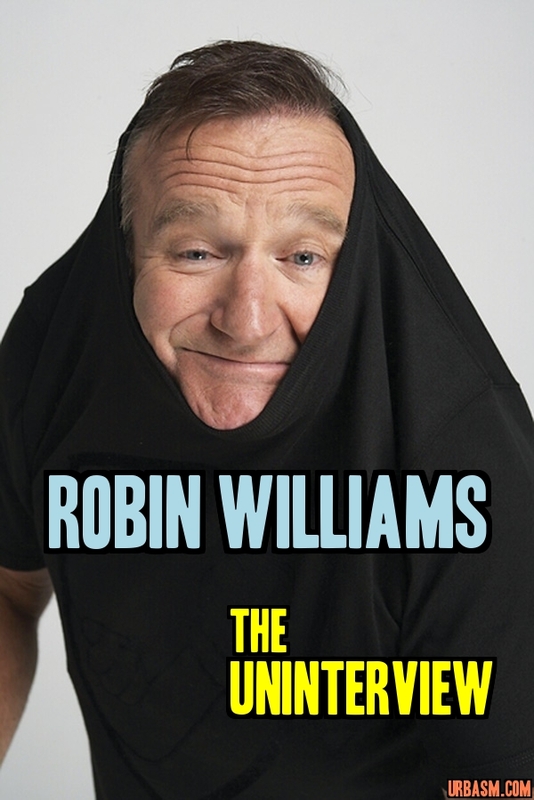 In 1976, he performed his comedy act against fellow comics, Dana Carvey, Harry Anderson, and A. Whitney Brown. In 1978, Williams received his first big television break when he attended a casting for the role of “Mork from Ork” on Happy Days. Gary Marshall would later admit that the reason Williams earned the part is that he was the only one who auditioned as an alien. 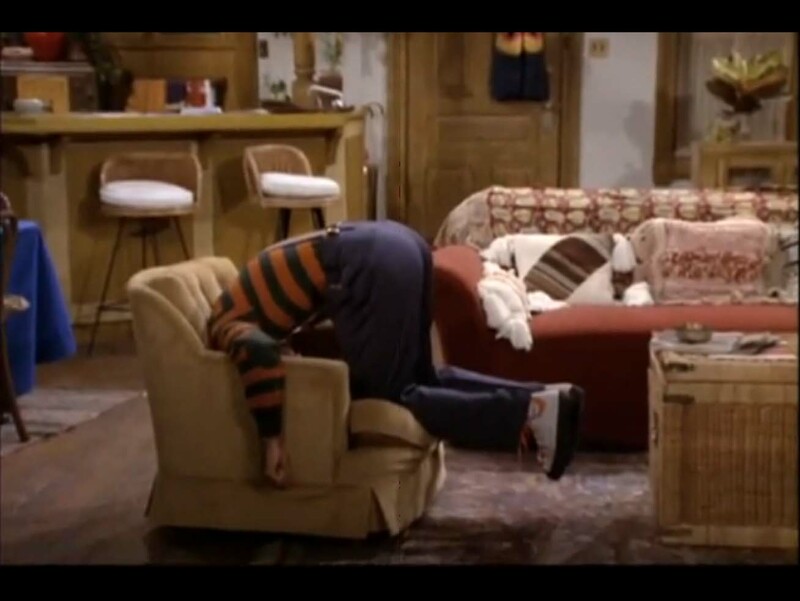 In other words, when Marshall asked Williams to sit down, Williams promptly placed his head on the chair. 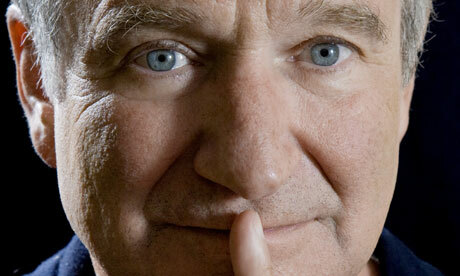 During his years on Mork and Mindy (1978-1982), producers discovered that Williams was actually funniest off script. This prompted the writers of the show to include places that would allow him to “go off” on an ad-libbed character rant. However, Williams particularly took advantage of his ad-lib talents in the animated film, Aladdin (1992). When the film finished, producers had over 16 hours of improved material from Williams they needed to sort through before making the final cut. 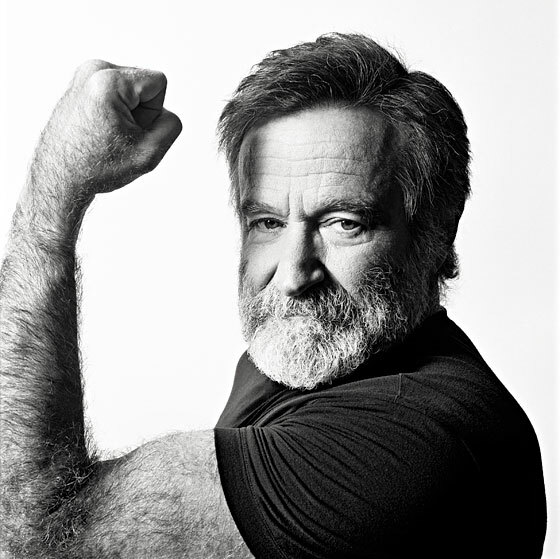 Willams would go on to play many memorable characters in the films, Popeye (1980), The World According to Garp (1982), Moscow on the Hudson (1984), Good Morning Vietnam (1987), Dead Poets Society (1989), and Good Will Hunting (1997). He would also play the voices behind such hit films as A.I. : Artificial Intelligence (2001) and Happy Feet Two (2011). There were also many popular character roles that Williams almost played, including the role of “Bob” in What About Bob (1991), of which was given to the producer’s second choice, Bill Murray. He was also offered the role of the “Riddler” in Batman Forever (1995). However, Jim Carrey would be the man to usher that role to the big screen. Willams knew how to make his good friend, actor Christopher Reeve laugh, while Reeve was struggling to regain his life after being paralyzed by a horseback riding accident in 1995. “My old friend had helped me know that somehow I was going to be OK,” Reeve gushed about Williams in later interviews. However, on August 11, 2014, there was nobody around to convince Robin that things would be okay. Robin Williams touched the hearts of many. Williams always found words easy to come by as he was greeting a new audience. And we suppose, as members of his audience for over 30 years, finding the words to say goodbye will not come so easily. And with this we remind ourselves that if you ever feel alone or anxious in this world, the National Suicide Prevention Lifeline: 1-800-273-TALK (8255) is always there to talk. 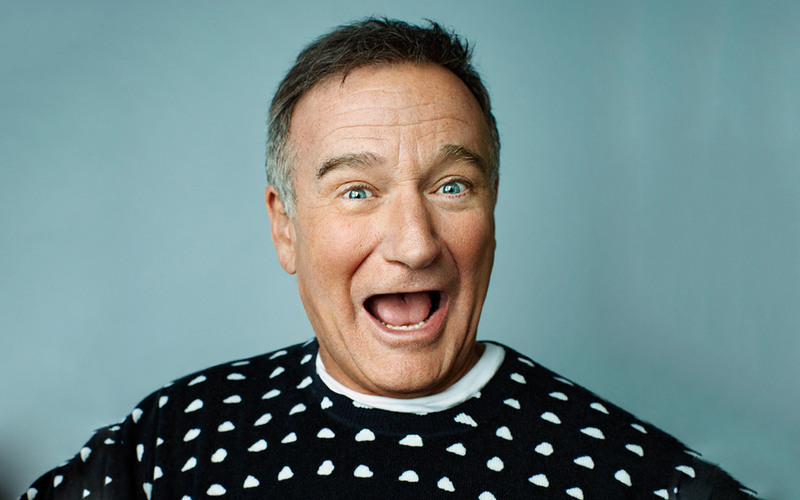 Perhaps nobody was able to save Williams life, because his impressively vast heart masked the true emptiness that lay inside. He hid his fears and anxieties behind his sharp political jabs, quick wit, and childish smile. “I believe in destiny,” Willams once said.